This is for one vial. This price is for one unit, not including shipping. MOQ 500. If you need large quantity (20k and above), we can supply it at a very good price. Contact us for large qty price and shipping fee. •	High Quality and Heavy Duty BPA free Polypropylene material - Safe around house and baby; Made of plastic, so NO broken glass! 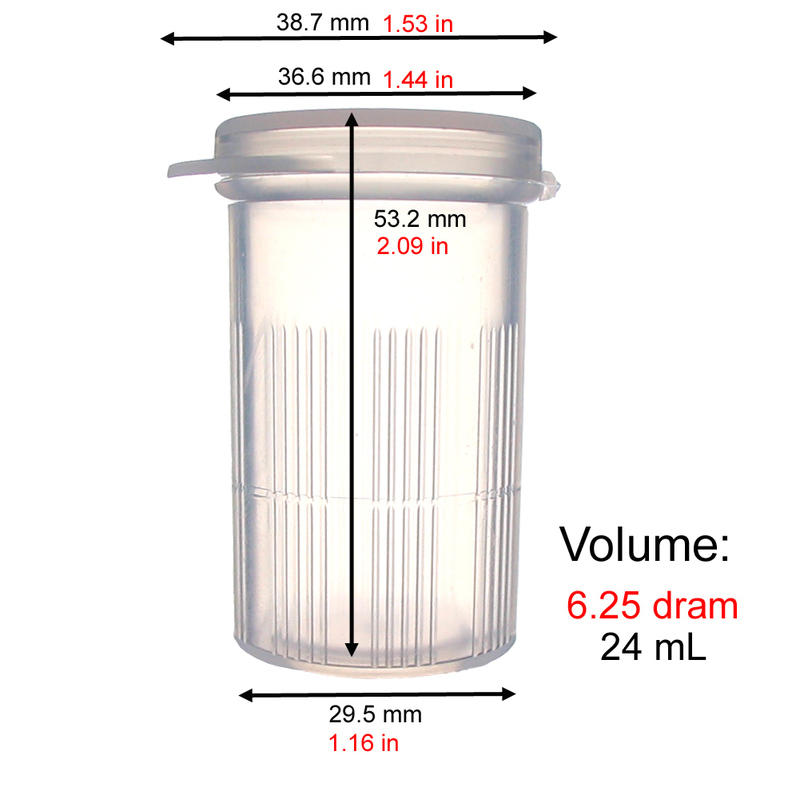 •	Snap tight lid - water seal, and air tight. Also suitable for hold prescription medicine. Also suitable for bringing your prescription when traveling.